Shemekia Copeland has the blues in her blood, literally: the powerfully soulful singer is the daughter of fiery Texas blues guitar great Johnny Copeland. She’ll bring that Texas-by-way-of-Harlem fire to Club Helsinki for a torrid evening of modern blues, funk, soul and R&B on April 14 (show previously scheduled for February 23). Dubbed “the new queen of the blues,” the Grammy-nominated and W.C. Handy- and Blues Music Award-winning vocalist has appeared with the Rolling Stones, Eric Clapton, B.B. King, Buddy Guy, Dr. John, Robert Cray, and others—and even performed at the White House for President and Mrs. Obama. 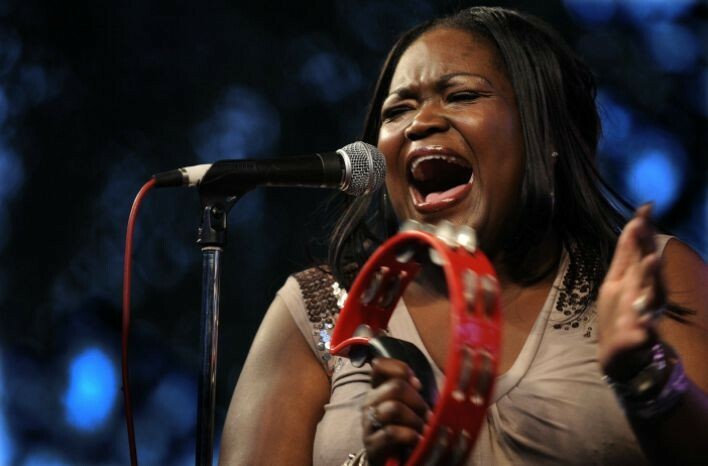 Shemekia Copeland will perform at Club Helsinki in Hudson, New York, on April 14 at 9pm. Tickets are $25-$30. For more information, call (518) 828-4800 or visit https://helsinkihudson.ticketfly.com/event/1612283-shemekia-copeland-hudson//. To find out about more events in the Hudson Valley, subscribe to our weekly newsletter Eat. Play. Stay.